A year after Airbus SE won what appeared to be a lifesaving order for its A380 double-decker plane, the flagship program's future is once again on the line. Gulf carrier Emirates may convert some or all of its most recent 20 superjumbo orders into smaller A350s, people familiar with the matter said. The A330neo, another wide-body, is also in the mix, said one of the people. Any switch would slash the order backlog of its largest passenger aircraft - leading the manufacturer to kill off a plane that's had limited interest from other airlines, just 11 years after it entered commercial service. Airbus would keep the superjumbo going until other outstanding orders for the model were fulfilled, mostly from an earlier Emirates deal, according to the people, who asked not to be named as the talks are private. But the move would ultimately mean shuttering a production line the manufacturer has fought to retain in anticipation of a revival in demand. Toulouse, France-based Airbus seemed to have secured the A380's future when it agreed last January to sell as many as 36 planes to Emirates. Since then, though, it has struggled to find an engine maker willing to meet the carrier's price and performance demands. An alliance of General Electric and Pratt & Whitney showed little enthusiasm, while incumbent supplier Rolls-Royce has failed to agree terms after months of negotiations. Price has been an issue for other carriers as well. Speaking at an event in London on Friday, Willie Walsh, chief executive officer of British Airways parent IAG SA, said he would consider purchasing more A380s, but only at better terms than Airbus has offered. Airbus said in a stock-exchange statement after markets closed Thursday that it's in discussions with Emirates in relation to the A380 contract, which includes 16 options. Shares of the manufacturer traded 1.5% higher as of 11:27 in Paris on Friday. Emirates, which is closely held, said talks were ongoing, while London-based Rolls-Royce declined to comment. The turbine-maker's stock was up 1.8%. Jefferies International aviation analyst Sandy Morris called the Airbus comments "bland, but ominous," adding, "If a significant portion of the Emirates order is canceled we believe the A380 program must end." The airline's planned move from capacity-constrained Dubai International airport to the new Dubai World Central hub around 2024 may be colouring its thinking about the need to have the very biggest passenger plane, Morris said. Airbus is already cutting A380 production to eight aircraft this year, dropping to six annually from 2020. Even that plan relied on securing the latest Emirates deal, billed as program-saving when it was unveiled by the manufacturer's then sales chief John Leahy. Scrapping the superjumbo would end losses on each plane at the lower production level and free up factories for increased output of smaller models, but could also expose Airbus to a 1 billion-euro ($1.15 billion) cash outflow from state funding that might need to be repaid, according to Morris. The A380 had an unfilled backlog of 87 planes at the end of 2018, the analyst said, of which only the 53 ordered by Emirates and three by Japan's ANA could be regarded as "robust," he said. Some have sat on the books for years. 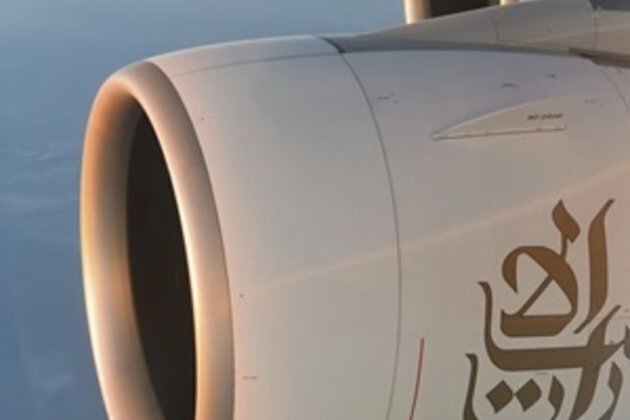 LoggerheadsRolls and Emirates have been at loggerheads over the specifics of the engine accord, with A380s from the earlier order becoming a bargaining chip as the Dubai-based airline initially refused to take delivery of some aircraft. The deal now under review was delayed amid wrangling over the engine contract, with Emirates calling off an announcement at the 2017 Dubai Air Show. The sale was revived three months later after the two sides struck an agreement that left final terms undecided. Even as other carriers lost interest in the A380, Emirates has been reluctant to give up on a plane central to its strategy of tapping Dubai's location at a natural global crossroads to become the world's biggest long-haul carrier. President Tim Clark has been one of the most vocal backers of the jet, which the company loads up with as many as 615 passengers for globe-trotting trips. A switch to the A350 would revisit a 2007 order that Emirates canceled in 2014, saying it wasn't convinced the plane matched its requirements. The state-owned airline had agreed to buy 50 A350-900s and 20 larger -1000s for delivery starting this year, worth $16 billion at the time. Adding the smaller plane, which features composite wings and two engines, making it more fuel efficient than the four-turbine A380, would give Emirates a three-model lineup. As well as being the No. 1 superjumbo operator the carrier also has the biggest fleet of Boeing Co. 777s and is the leading customer for the upgraded 777X model. The A330neo is a re-engined version of a smaller, older plane than the A350. Airbus has had trouble securing orders for the new version, and issues with the Rolls-Royce engines have also slowed production. The planemaker plans to offer a modified version of the jet to try to choke off demand for a planned mid-range jet, nicknamed the 797, from Boeing. Get a daily dose of Philippine Times news through our daily email, its complimentary and keeps you fully up to date with world and business news as well. Publish news of your business, community or sports group, personnel appointments, major event and more by submitting a news release to Philippine Times. © Copyright 1999-2019 Philippine Times. All rights reserved.